I feel so good and we have a good restaurants to choose.The food is better down here compare the place we stayed before. Considering the place is around the historical place so the place has more choices and it is a tourist attraction as well. Leaving in a historical place is a plus for me. The place is so neat, cute and well maintain. I love to eat anything about noodles and its one my favorite.We headed to Zushimaki for a dinner with my family. 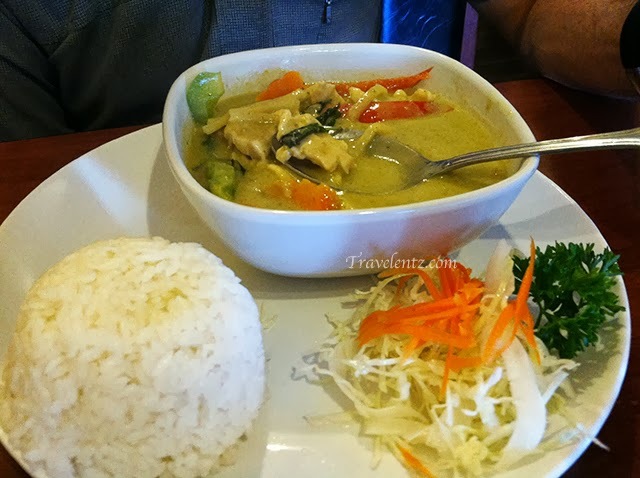 So hubby got the thai chicken curry. 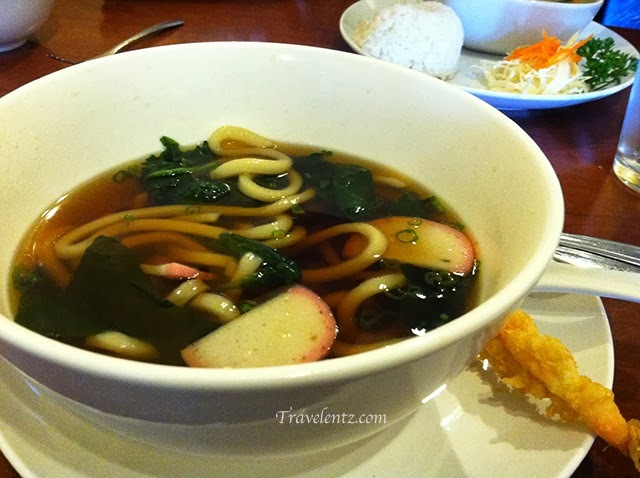 One of my fave-Udon soup with shrimp tempura. The Zushimaki is a Japanese and Thai restaurants but they are good in sushi as well. It is located at: 1031 Riverside Drive,Franklin,Tn.